It’s the future; wars have been ended, governments have been dissolved, and the people of the earth are ruled over by big, multinational corporations. In order to keep them appeased and sedate, a bloodsport has become the focus. The game is designed to show the futility of individual effort and keep the masses in line. Unfortunately, one athlete captures the imagination, becoming a threat to the “corporation’s” philosophy. Sound familiar, or more to the point, like The Hunger Games? It’s Rollerball, made in 1975 and recently released on Blu-ray through Twilight Time. Based on a 1973 Esquire short story titled “Rollerball Murder,” by William Harrison, Rollerball is mostly recognizable today as imagery, a roller derby with spiked and armored players scooping up a steel ball, hanging on the back of motorcycles and slamming full-contact into each other. But upon watching it now, whether it’s for the first time or not, the political message hits even harder than it did originally, and is chillingly prophetic. 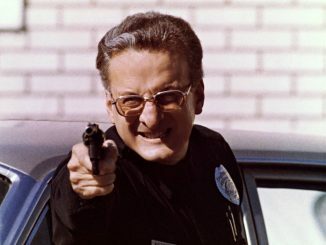 In 1975, some critics took its message seriously, while others, such as Vincent Canby, found it “silly and frivolous.” Most missed its message on a future governed by corporations, and our desensitization to violence, and instead, reveled in its gruesomeness. The 2002 remake, an indicator of just how much producers’ assume the populace’s disinterest with political commentary, lost most of its message for a flat and banal actioner; and in response, yielded a dismal box-office. The story follows Jonathan E., the superstar athlete for Houston (there’s no more countries, just cities, each with its corresponding corporation) who can seemingly do “no wrong.” After the team takes out Madrid, there are only two more games to the season, and while celebrating their victory, corporation executive Mr. Bartholomew (a cold and intimidating John Houseman) wants Jonathan to announce his retirement. Jonathan reveals he’s already given the corporation his wife because an “Executive” wanted her, and all he has left is the game. Jonathan has all the material things a man could want; a beautiful ranch, wealth, women (he gets a new “house mate” every 6 months until she is reassigned) but the one condition is he cannot question the corporation. As Jonathan continues to rebuke the corporation, they press him harder, and each subsequent game, they take away more rules, until the final match with New York has no time limits and no penalties, allowing both teams to kill one another until only one player remains standing. Producer/Director Norman Jewison (In the Heat of the Night, Fiddler on the Roof) never took on Sci-fi action, but the story was too good for him to resist. Writer Harrison, who had never penned a screenplay, convinced Jewison he was the man for the job, and together they adapted his story. 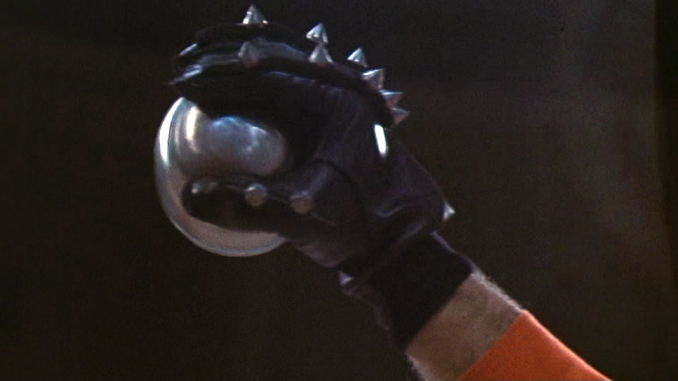 The action is top-notch, so much so that Rollerball was the first film to give screen credit to the stunt men. 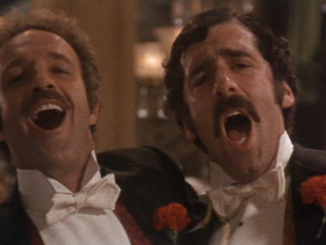 James Caan underplays Jonathan to a fault, mumbling so much of the dialogue it’s often hard to understand him. The DVD’s audio is somewhat troubling, most probably due to degenerative source material, but the picture is sharp and the transfer, clean. Two “making-of” shorts included as extras, one made at the time, reveals little, but a recent new addition with interviews from the film’s 20th anniversary offer up interesting insights into the filmmakers’ attempts at creating a critique of violence and parallels between ancient Roman gladiator games and modern society’s skewed desire for blood. Twilight Time’s Limited Edition Blu-Ray was so limited, it’s now sold out at Screen Archives Entertainment and TCM Shop, the official vendors for the label. As for purchasing a copy, the boutique label only issues one run of their titles. However you end up getting your hands on it, Rollerball is definitely worth checking out, if nothing else than for its prophetic telling of a not-so-distant future.